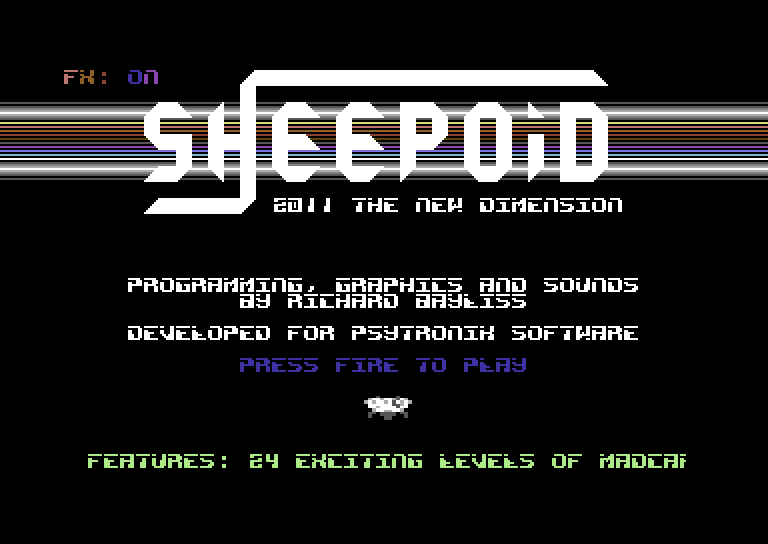 Back in March this year Richard Bayliss of The New Dimension announced on his blog that he had almost finished work on Sheepoid, his updated interpretation of Jeff Minter's classic Lazer Zone, and he has recently uploaded a playable four-level preview to his site (with the final version to be published by Psytronik soon). 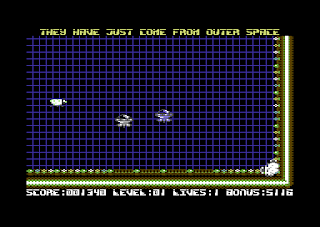 For those of you unfamiliar with the original, Lazer Zone is a one or two player game where you control two separate lazer cannons simultaneously with fixed movement on the X or Y axis. The goal is simple; keep the variety of advancing nasties at bay by blasting them in the crossfire. Fail to stop them before they reach the sides of the screen and they'll happily munch on your defenceless cannon. 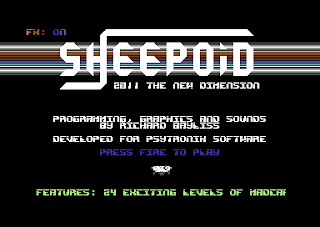 Replacing the original lazer cannons with sheep (a nice touch and clearly a nod to Minter's love of the genus ovis), Richard's Sheepoid preview features a much larger playing screen, a smart-looking animated arena background and loads of bad guys to obliterate. The music and sound effects are of a particularly high standard and it's clear that Richard has made a real effort to capture the psychedelic Yak spirit perfectly. In addition to blasting the incoming enemies, the occasional sheep also wanders into the grid and needs to be saved, but in the current build it has to be said that killing them doesn't appear to punish the player very much (nor are the rewards great for rescuing them). 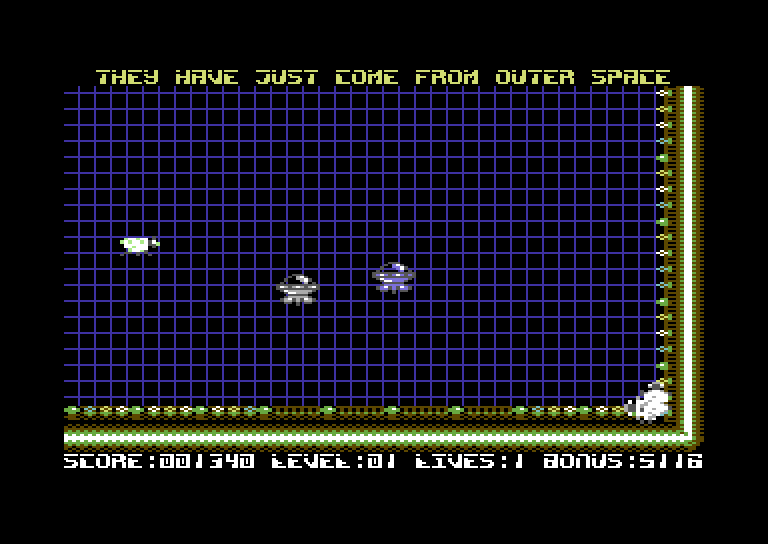 Also, in the original Lazer Zone players were prevented from camping in the bottom right corner of the screen (like I've done in the screenshot below) via restrictive movement - at the moment, if you position your sheep just right you can effortlessly beat the game. Finally, the option of playing with two joysticks (so two players can control a cannon each) is missing - one of the favoured features of the original. Anyway, I hate to end this write up on a downer, as until I realised that it was possible (and easy) to cheat I really enjoyed playing through the four levels on offer here. Sheepoid has a lot of potential and with a few small tweaks to the design could actually end up better than the game it is based on. Download the game here (from The New Dimension website).